Although you can't see it Mount Rainier is looming right behind the guy ( Paul Weeks ) in the yellow jacket. 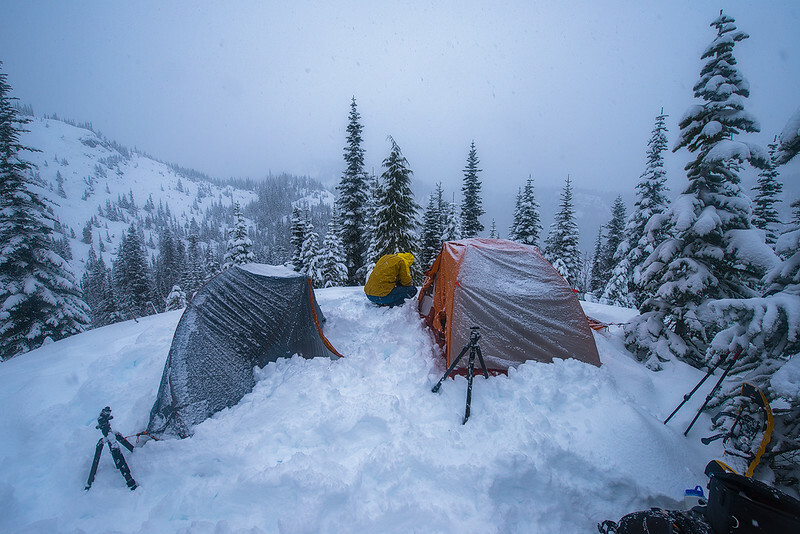 We arrived the night before and setup camp after a 6 mile snowshoe out. 6" accumulated over night and continued to come down as I snapped this shot.